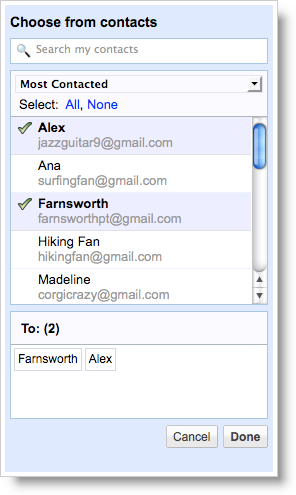 This evening Google Announced an upgrade to their Auto-Complete function in GMAIL. Just Click on the TO: link (or CC, BCC) when writing a new email, and a new Menu will pop up allowing you to more easily Search/Find/Select the appropriate Contact(s) to email. A simple little feature that should help not only the Home user but also the Google Apps Corporate users.